Since its inception in 2006, designer Hassan BOUNKIT’s eponymous brand has instantly emerged as a favorite among fashion editors, celebrities and fashionistas around the globe, including Oprah Winfrey, Liv Tyler, Salma Hayek, Iman, Brooke Shields and Lily Collins among others. 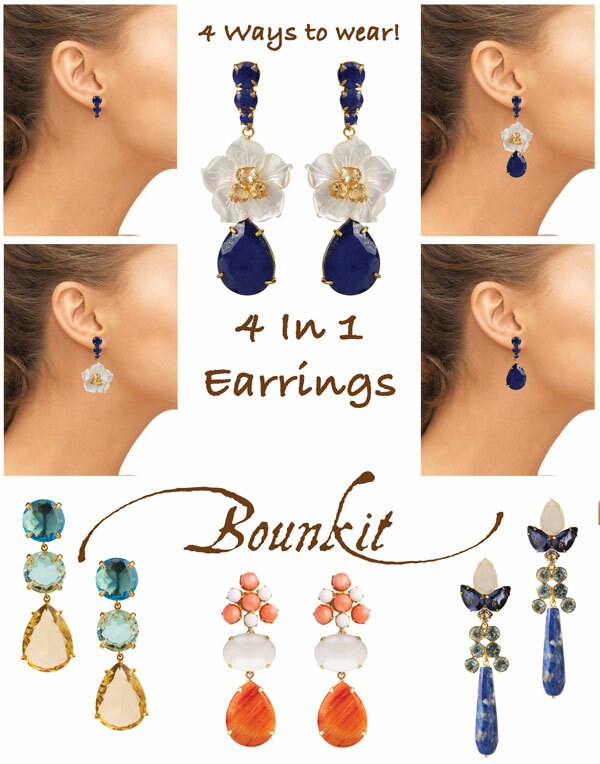 BOUNKIT’s power pieces have been featured in VOGUE, Vanity Fair, Brides, The Knot, ELLE, Glamour, Harper’s Bazaar, Allure, InStyle, and the brand continues to have consistent features in many more leading fashion magazines. Because of our success our jewelry has also been featured on NBC’s ‘The Today Show’, ‘The Oprah Winfrey Show’ and TV series ‘Gossip Girl’, ‘Lipstick Jungle’, ‘The Reign’, ‘Astronaut Wives Club’, and most recently ‘Quantico’ and ‘Top Chef’. 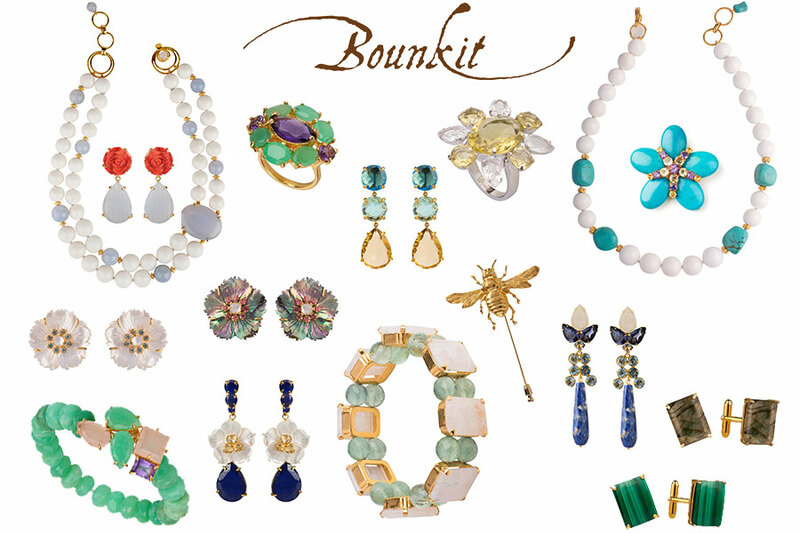 BOUNKIT designs three collections each year in his New York City atelier where the jewelry is created by hand to his specifications. In fact, much of the collection is custom-made for his retailers and clients. The collections composed of staple convertible chandelier earrings, cuffs, necklaces rings and pins feature sensationally gigantic stones – a perfect blending of modern architectural jewelry with homage to Art Deco boldness. With vibrant color combinations and unusual settings, BOUNKIT attributes his style to his Mediterranean background, ancient Moroccan design and a deep love of nature.